I recently brewed a batch of beer with WLP 028. I had used this beer in my British yeast experiment, and I thought it may make a nice “clean” beer yeast. Now, I was drinking this compared to 4 other very flavorful yeasts, so my perceptions could have been skewed. I had also seen how much a yeast can either accent or suppress hop expression, and according to White Labs, WLP 028 is not supposed to suppress the hops like many British strains do. So, I set up a side by side, where the same IPA will be fermented with WLP 028, and Wyeast 1056, pretty much the gold standard of clean ale yeasts. The other piece to this is that I wanted to try some different hop combinations. Specifically, I wanted to get away from tons of super fruity and citrusy hops such as Cascade, Simcoe, Sorachi and Centennial. Instead, I was looking for the more herbal, and darker tasting hops, something with some resin, but did not smell too much like marmalade. I picked out Chinook for its piney notes, Nugget for its more savory/herbal notes, and Columbus, which when I first smelled it, seemed to have quite a bit of spearmint to go with some lighter citrus. I have used Nugget in the past as a bittering hop, but not much for flavor and aroma, and I have never used Chinook or Columbus before. I also decided to add these hops in a rotating fashion throughout the brew, hoping to layer the flavors. I also wanted to focus more on later hop additions to get more taste and aroma from the hops and less bitterness. I additionally wanted to avoid dryhopping, just to see how much hop aroma I could get, and also because I am going to bottle condition these, so I know I am going to lose some of that bright flavor and aroma anyway. Instead I chose to add the last addition during whirlpool at 180F. Finally, I have very soft water. I usually don’t do to much to my water other then dechlorinate it with campden tablets, but I did add 4g of gypsum to the boil to get some sulfites in the beer, giving me 87ppm. The beer was mashed via an infusion at 153F. The temp dropped to 150 before I corrected my HERM’s system and was able to bring it back up to 154F and hold it for 60 minutes. I then mashed out at 166F. This is my second batch with the HERM’s unit, still getting the hang of it. The OG is 1.061. The beer has 53.5 IBU’s with a IBU:OG ration of 0.924. The beer was split into 2 batches, 2.5 gallons each. 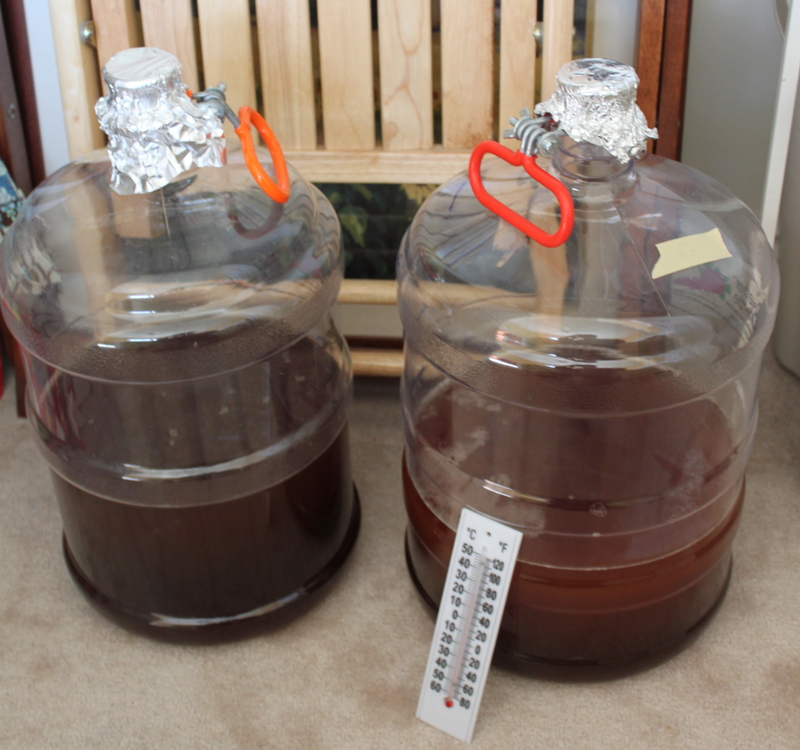 I had made 1L starters of both the WLP 028 and the Wyeast 1056, and I decanted and pitched them both. As I don’t have 2 temperature control systems for fermentation, I am going to let these guys sit next to each other in a closet in my house, which is 67F currently. Curious to hear what your thoughts were on the final beers. Did 028 work in the IPA? I posted the tasting notes. Can’t find my picutures and got pulled on other projects, but the gist is on the post. Hope this helps.